Jesus presented this man with a simple question. How would you answer that question? ​How are you willing to invest in order to join Jesus in his process of transformation for your life and the life of our community? DR. CHRISTINE OSGOOD, LMFT, D.MIN. ASSOCIATE PROFESSOR OF WELLBEING. DIRECTOR OF WELLBEING INITIATIVES. 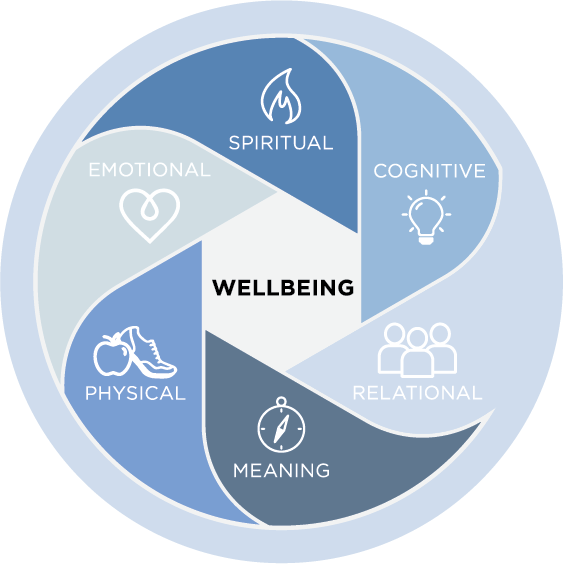 Christine is designing and implementing both academic and co-curricular experiences that help students and employees learn about and intentionally engage wellbeing. For more information, swing by her office in the Center for Wellbeing (Townhouse N2) or send her an email (christine-osgood@bethel.edu). Times of wholeness and flourishing. Justice-infused-peace. Living in good relationship with God, self and others. Together, let's explore what it takes for this kind of wellbeing to emerge in our midst.